JNN 02 May 2014 Tunis : The Istihlal committee in Tunisia has announced that Sunday, June 29, will be the first day of the holy month of Ramadan in the country. Istihlal refers to efforts for sighting the new moon that determines the beginning of a new month on the lunar Hijri calendar. Muhammad Shokat Awda, head of the committee, in a statement said The Ramadan Crescent will form on the night of June 28 and the holy month will start on June 29. The Tunisia Government Calculate the Sighting of the Moon , on the Basis of the Scientific Data Obtained by the Metrological and Astronomical Deptt. Of the Government and on the same Basis, they Calculate and Announce the Exact Date of the Sighting of the Moon , Before it Happens in Practical . So in the same Pattern they have already announced the Exact date of the Beginning of the Holy Month of Ramazan . While Majority of the Muslims Unanimously Believe on Actual and Practical Sighting of the Moon , Every Month , and On the result of the Naked Eye Sighting of the Moon , they Declare the Starting of Every Month , which may differ from 29 to 30 days . While the Egyptian Lunar Calendar is also based on the same Calculations , which is followed by the Egyptian Government for the commencement of the Islamic & Religious Days , as well as the Dawoodi Bohra Community also follows the same Egyptian Lunar Calendar , so they also have the knowledge of the Fixed Dates of their every Religious and Islamic Events coming in the Near Future in Advance. Ramadan’s days this year will be the longest in the country in thirty years, he added, tunisienumerique website reported. He noted that Tunisians will be fasting around 15 hours a day during Ramadan this year. 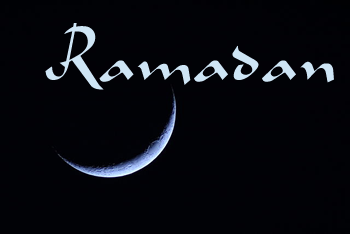 Ramadan (also spelled Ramadhan or Ramazan) is the ninth month in the Islamic calendar. It is a time when Muslims around the world focus on prayer, giving charity, and religious devotion. In Ramadan, Muslims fast from sunrise to sunset, as it is prohibited to eat, drink, or smoke anything during the fast. This entry was posted in AFRICA, Jafria and tagged Dawoodi Bohra community, Egyptian government, holy month of ramadan, lunar Hijri calendar, Ramadan Crescent, Tunisia. Bookmark the permalink. RECOUNTING HIS SUPERB BOOKS , BECONS FOR MANY WHO ARE ENLIGHTENED AND COMES TOWARDS LIGHT FROM ACUTE DARKNESS . BRINGING SWOMEONE FROM SURE JAHANNUM TO JANNAT E FIRDAUSE CAN’T BE AN ORDINARY ACHIEVENT . WISH HIM A V ERY VERY LONG LIFE WHICH WILL ENRICH MANY .